Belgium M 1933 Adrian helmet for the Home guard. ( Civil defence.) Untouched black painted helmet with some light age spurs but no dents. Gold badge showing standing Knight with armor holding a shield. Belgium Home guard slogan IM PAVIDUM FERIENT RUINO underneath. Very good black leather liner and brown leather chin strap. 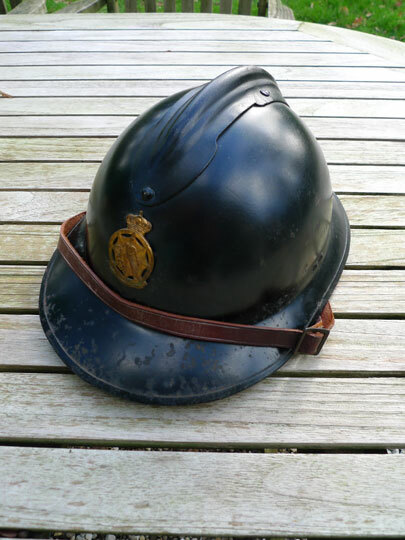 A very nice to Excellent Belgium Home guard Adrian helmet used after WWI.